Advice and suggestions on getting students to behave well in class and using an appropriate level of discipline. How do we get students to behave in class? Usually not by telling them to behave, but using behaviour patterns that ensure they behave. Let me explain. I teach 18 students aged from 11-15 in the one class, some at varying levels of language ability to others. This means there is not only a sociological divide but also a language level divide. So how do I get my students to behave? I use these strategies and they are ones that all teachers need to try at least once in their classroom to see which ones work for them. Have you set a code of behaviour in the classroom? This should be set with the students, where possible so they know the consequences of their behaviour should it not be socially acceptable to the rest of the group or to you. I always have this code of behaviour on the board or on the wall on a big sheet of paper. Five or six key points are sufficient, e.g. I will work hard to learn the language. I sometimes just have to point to it to remind students of their decision, and this brings the student back on line… Also the teacher needs to add his/her code of behaviour too, what the teacher will do for the students, e.g. be patient, never yell, I will work hard to help you learn the language…etc. Are the students really understanding you or are they missing most of what you are saying? Very often bad behaviour patterns are because students do not understand what is being taught to them, and they find no purpose for the noise coming from the teacher. There is one way to demotivate students and that is for them to not understand what is really going on. Here is a clue to bad behaviour – 75% of bad behaviour is accredited to academic failure – in other words, they have missed vital clues in the learning process.Make sure your students are having fun. This does not mean games where students are over active. Fast moving games are not necessarily the answer to discipline. In fact they often exacerbate the problem. What type of troublemaker are they? Attention Seekers – do they show off to get the rest of the class laughing? STRATEGY: Ignore minor behaviours but set a limit on what you call a minor infringement. Be FIRM and CONSISTENT; when behaviour is good, give attention to that behaviour – e.g. good, well done. Power seekers – do they want to put one over you all the time? STRATEGY: Don’t argue or fight with the student; remain fair and firm about the behaviour; as ‘the One-Minute Manager’ said, catch them out doing something good. Revenge seekers – act defiant, e.g. a student who won’t move to another section of the class when you think his or her behaviour is not acceptable. STRATEGY: Most of all, don’t act hurt – students see that as a weakness because they have had a reaction; convince the student that he or she is liked – find the student doing something good and smile at and commend that good behaviour. Withdrawn or depressed – gives up easily and then sits in silence. STRATEGY: Ignore failures, but counsel regularly. When counselling, always, but always give good news first – e.g. I like what you did here, then counsel with the bad behaviour. Lastly, finish with some good news – how the behaviour can be addressed and then arrive at a solution. Most of all be FAIR and CONSISTENT. I have my bad behavers sit in the front of the class. This way I can move towards them more easily, maybe touch them lightly on the shoulder if they are getting out of hand and pause near them. Make eye contact as you leave. Find time to praise the good work the student does. If the bad behaviour is minor – ignore whereever possible. Don’t yell. Remain silent until the group settles down. If you have some students on-side, those who do know what is going on, they will settle the rest of the group down. Let them be the ones to say ‘shush’. Sometimes I simply clap hands a couple of times and the group comes back on line. Then I speak softly, not with a loud voice. This has a calming effect on the whole class. When they are behaving well, catch them doing that. ‘Well done’. ‘Good work’. It is amazing how soon you get them on-side if they think you are finding them out doing good work. Counsel when you can and don’t make it always a bad behavioural thing. I often speak to a student after class and say how well I think they are doing, sometimes in front of their friends, because it motivates the rest of the group too. Just at a convenient time, as you are passing the student say you want to see that student after class – quietly. It is amazing how the behaviour changes from that moment on. At the meeting, find out the cause of the behaviour. 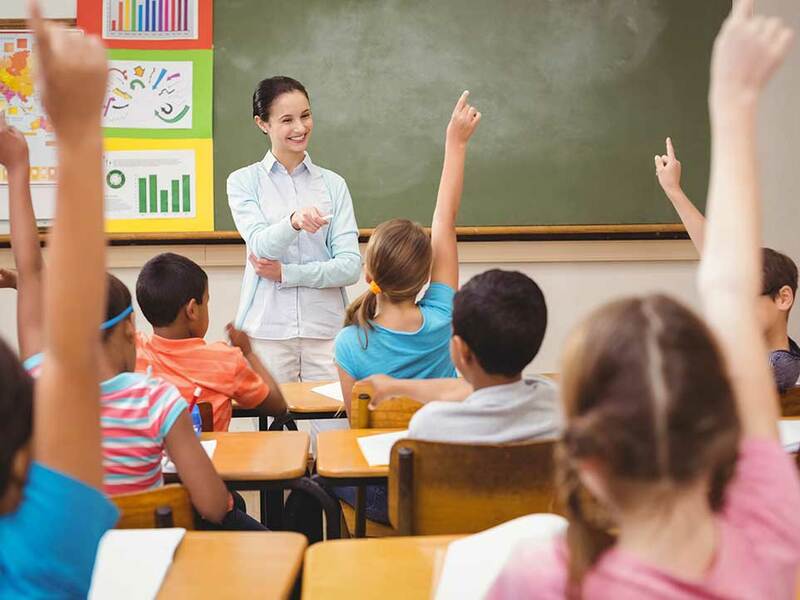 Explain that it is not helping the student to behave in this way, and explain the consequences of the behaviour – there is a written code which all the students agreed to at the beginning of the course – it should be ever present. And there should be a code of behaviour which the school has decided on – that persistent behaviour eventually means expulsion. Miss, Miss Miss or Sir, Sir, Sir…and standing up and coming to the teacher all the time is another disruptive behaviour. It can be VERY noisy if all the students know the answer and they are yelling at you and you don’t want a rush of students coming to you to show you their work. They soon learn the discipline of putting their hand up when a response is needed or that you will look at their work at an appropriate time. This makes for a more productive classroom, and students feel great when they are chosen to answer and you feel better because you don’t have a headache from the noise. Not in a disciplinary way, rather in the guise of helping them with the problem they have. Maybe they don’t understand. Move towards them, see if you can help them, then when you have calmed the student, walk away with a smile and a well done. Soon you will get to like your students and enjoy the class with them.